Shopping for glasses online is easier than ever. All you need is an up to date prescription and you can order any style, any frame from the comfort of your own home and at the click of a mouse. But other than having the measurements for SPHERE, CYL and AXIS for your right eye (O.D) and left eye (O.S), you also need a PD measurement. The trouble is, not many opticians provide a PD measurement when they print off your prescription so many online shoppers don’t actually have that information to hand. If you’ve tried ordering your specs online before, you will have noticed that there’s an option to select ‘Average PD’ which means that your lenses will be made to the national averages for Pupillary Distance. So is choosing the average the way to go when ordering online? After all, it seems like the convenient option. Or should you make sure you obtain your PD measurement before you buy? 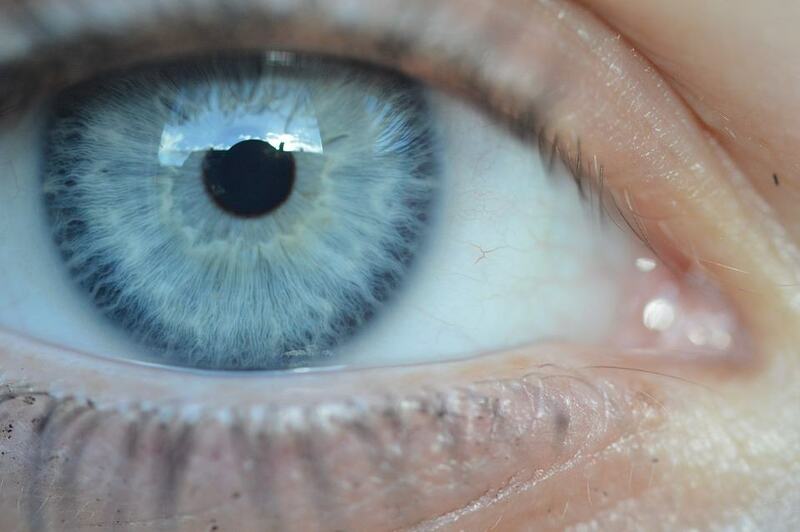 Just how important is it when it comes to your vision? Read on for everything you need to know about your Pupillary Distance before you buy your specs online. Read on for everything you need to know about your Pupillary Distance before you buy your specs online. Essentially, your PD measurement is the distance between the centre of each pupil. 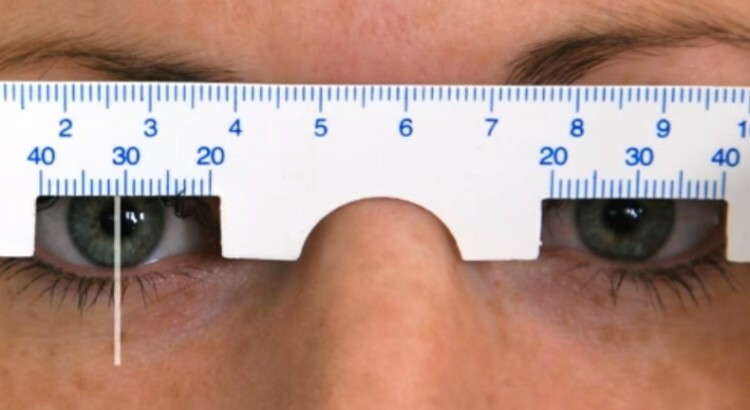 This measurement can come in two forms; either as one single measurement (eg: 65mm between the pupils) or two separate measurements for each eye (eg: 32mm for the left eye and 33mm for the right eye). How Do I Get My PD Measurement? To get the PD measurement for your eyes, you can ask at the time of your eye exam or you can contact your optician to see if they can provide you with the measurement details. If you are unable to obtain the information from your optician, there are ways you can self-measure. Smartphone and tablet apps such as Pupil Distance Meter by GlassifyMe or the Pupil Distance Meter PD Camera for Android have been created to help spectacle wearers measure more easily. 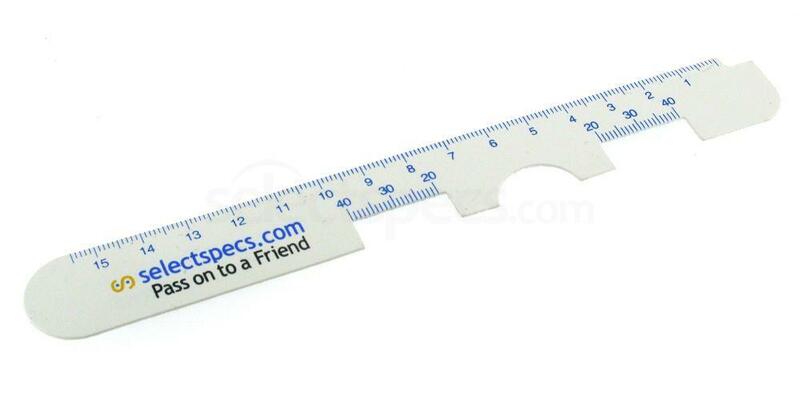 But the best and most accurate way is to use a special ruler, like this Pupillary Distance Ruler from Select Specs. It costs just £1.50 and will give you an accurate PD number within seconds. You can also watch this helpful video by the team at Select Specs which will guide you on the best way to measure your PD at home. How Important is the PD to My Prescription? Knowing the right PD measurement of your pupils will ensure the correct centration of your prescription lenses. The average measurement is between 60mm and 66mm and it is possible to select ‘Average PD’ when entering prescription information online. However, if you fall outside of the typical average, getting an accurate reading is recommended. The best way to know, is to measure! If you have a strong prescription, measuring your PD is also essential as the stronger your lens prescription, the more important it becomes to the lens centration.